Raised in Torrance California, Jenell Maranto started dancing at age 3. She has been a champion gymnast in college, a snow ski instructor in Tahoe and a professional chorus line dancer at Harrah’s Lake Tahoe in the Headliner show. Jenell was the head of the dance department for Sierra Nevada College for over nine years. There she taught Jazz, Ballet and Gymnastics. 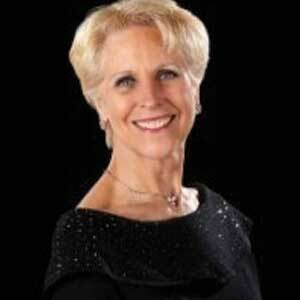 Jenell has been teaching Ballroom Dance since 1980 and opened her own school, Academy of Ballroom Dance, in 1987. She was voted most popular female dance teacher in the United States and was presented the coveted Feather Award in 1989. Along with dancing in the Professional events she also has done many years of Pro/Am competition with her students. Over the past 30 years she has produced numerous U.S. Ballroom Champions. She has competed in all styles including American Smooth, Rhythm, Theater Arts, and International Standard. Together with Jim Maranto they traveled the world training with the best ballroom dance coaches in the industry. As professional competitors they won every major Open Professional Smooth competition in the United States and also won every Professional Rising Star International Standard competition in the United States. Ultimately the highlight of their career was winning two U.S. Professional American Smooth Championships and they have represented the United States in two world Showdance events. They have performed all over the world including many television and movie appearances. Jenell is also a DVIDA Examiner.